Our sister blog Picturing God: Faces and Traces of the Divine celebrates its first anniversary tomorrow. 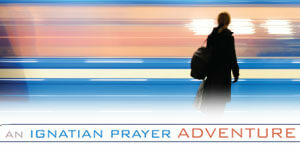 The blog has featured images of nature, people, objects, and places, all evoking God’s presence. I love it. Many of the pictures are extraordinary. It’s a daily way to experience finding God in all things. To celebrate, Loyola Press is giving away Ignatian Inspiration calendars to five lucky people who comment on the Picturing God page. Details here. Check out the site if you haven’t already, and considering subscribing to receive the daily picture by e-mail. How Do You Get dotMagis? Ok, I’ll check out the site straight away! Thank you for all you share with me about God…about God’s looking at me with love…about His listening lovingly to me with warmth and concern. I had no idea how skewed an idea I had about God. I felt a distance and harshness but I had never noticed it. Going to Confession has completely changed for me.